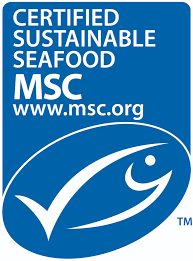 Video courtesy of Marine Stewardship Council, an international non-profit organisation established to address the problem of unsustainable fishing and safeguard seafood supplies for the future. “The New South Wales wild harvest commercial fishing industry is a dynamic network of skilled businesses. Commercial fishers, wholesalers, processors and retailers work together with the restaurant and catering industry to supply fresh seafood to communities across the state, as well as to interstate and overseas markets. Different species are caught at various times of the year, so seeking fresh, seasonal produce from your local fisherman’s co-op or fishmonger is the best way to ensure premium local seasonal catch. Increasingly, consumers are becoming more aware of the importance of eating food that has been harvested or grown in a socially and environmentally responsible manner. By buying Australian caught & farmed seafood species your are not only supporting local industry, but you are protecting the marine environment. For more information on the importance of sustainable fishing download Government factsheet on Commercial Fishing in NSW. Australian seafood is one of the best in the world and buying locally you are not only buying fresh produce that is sustainably caught or grown, you are also supporting local jobs and the Australian economy. Subscribe for exclusive offers and vouchers!